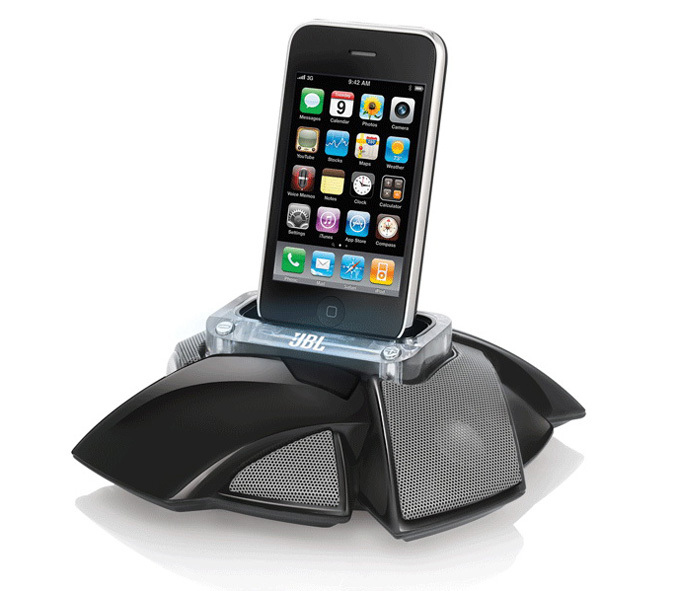 The new additions to well known portable JBLs iPod and iPhone compatible docks, feature a new industrial design called “Wave” and Odyssey aluminum-domed transducers that promise more accurate, high-frequency and four octaves of rich mid- to low frequency sound. 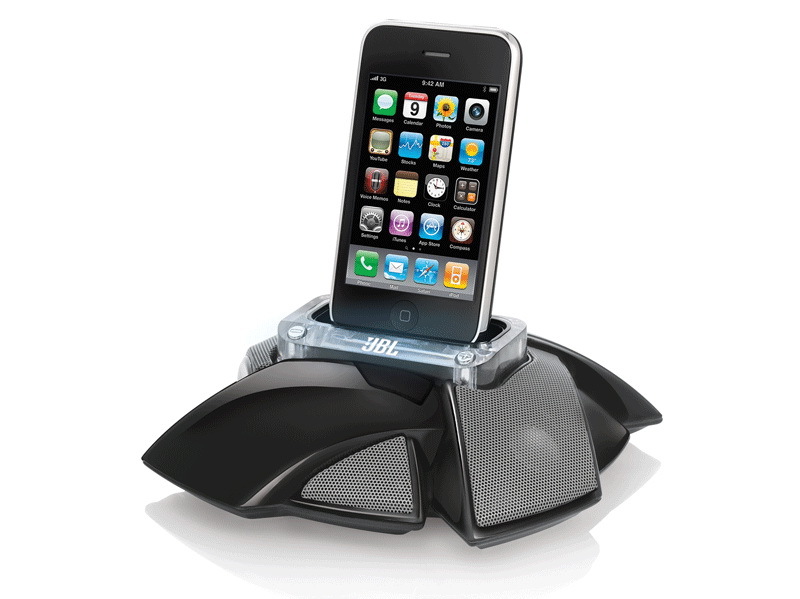 The JBL’s mini docking sound systems can be powered by AC adapter or or four AAA batteries/six for On Stage IV, that will provide up to 16/24 hours of normal play. 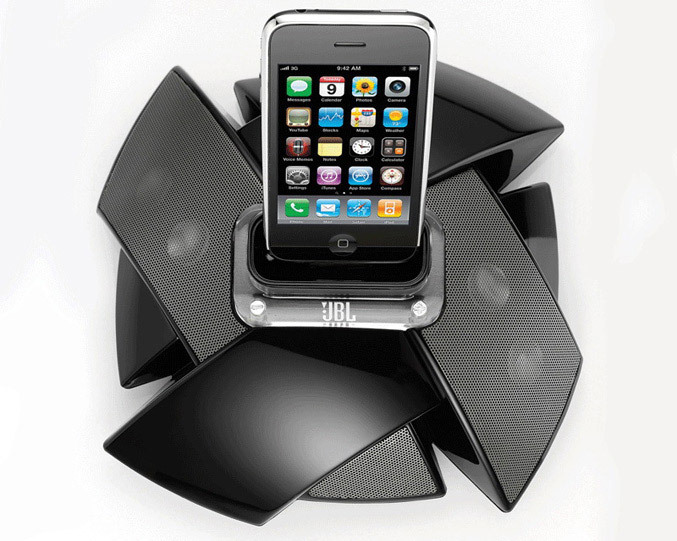 The JBL On Stage Micro IV packs four 25mm JBL Odyssey transducers, “emitting rich and clear sound for any environment”, while the smaller the JBL On Stage Micro III is equipped with two transducers. 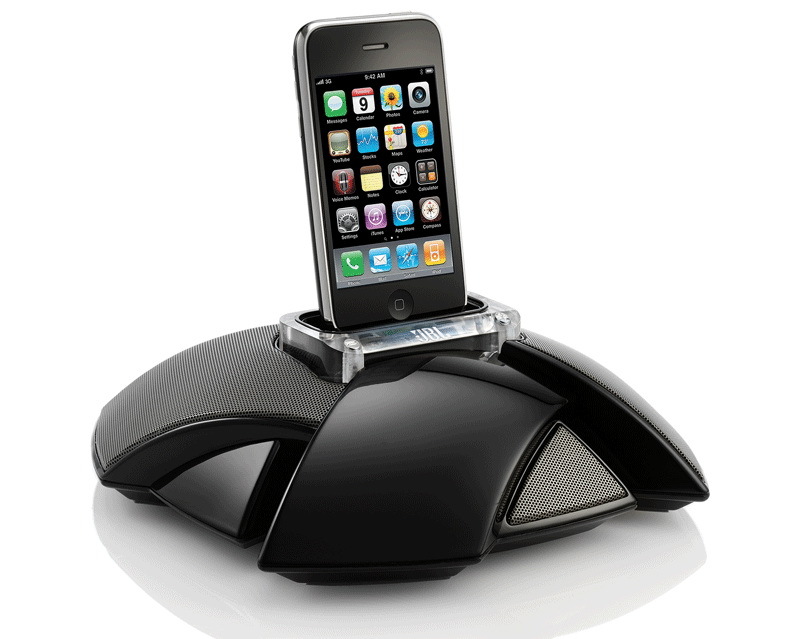 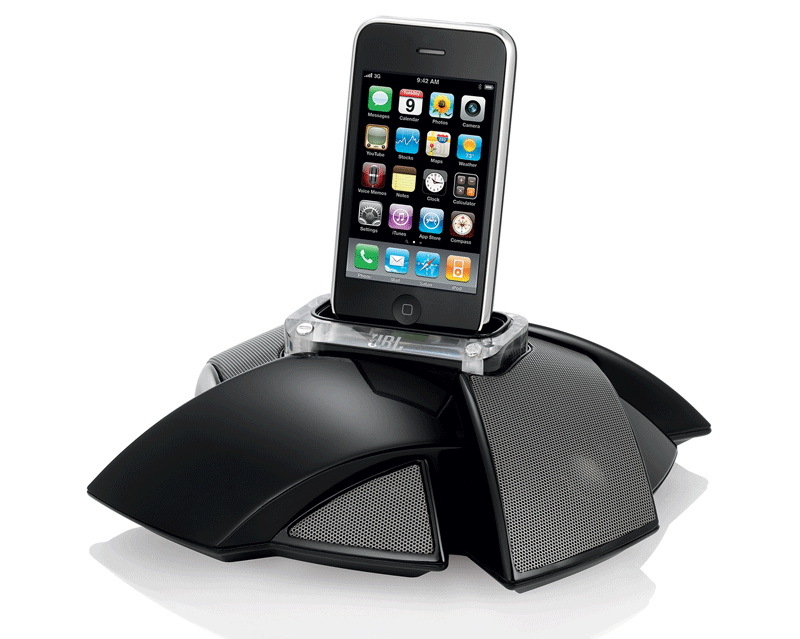 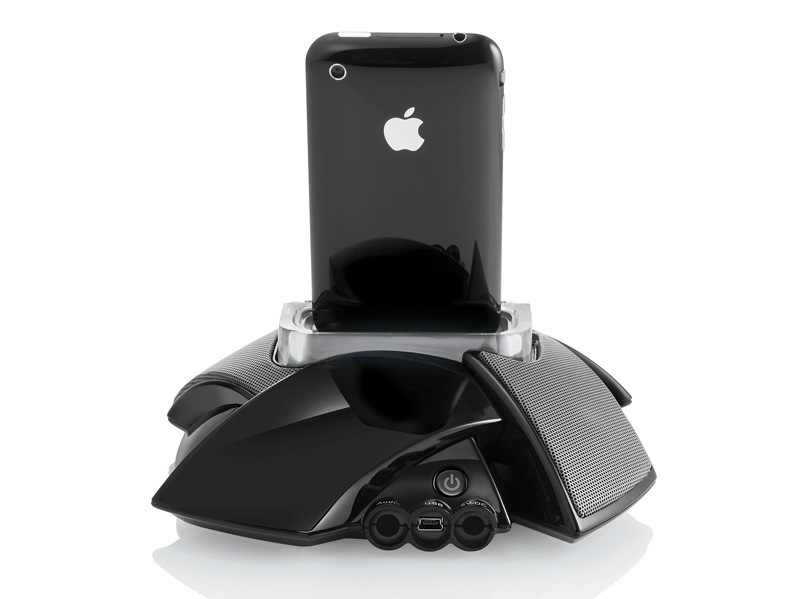 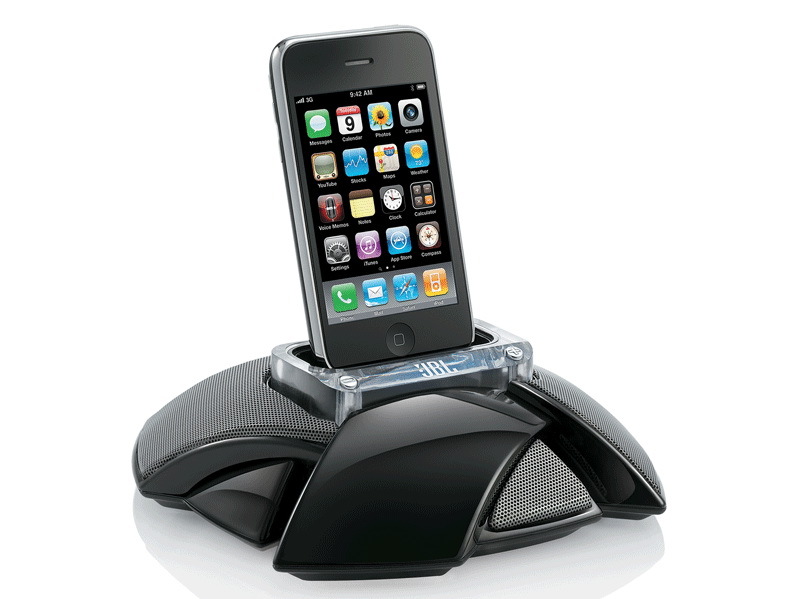 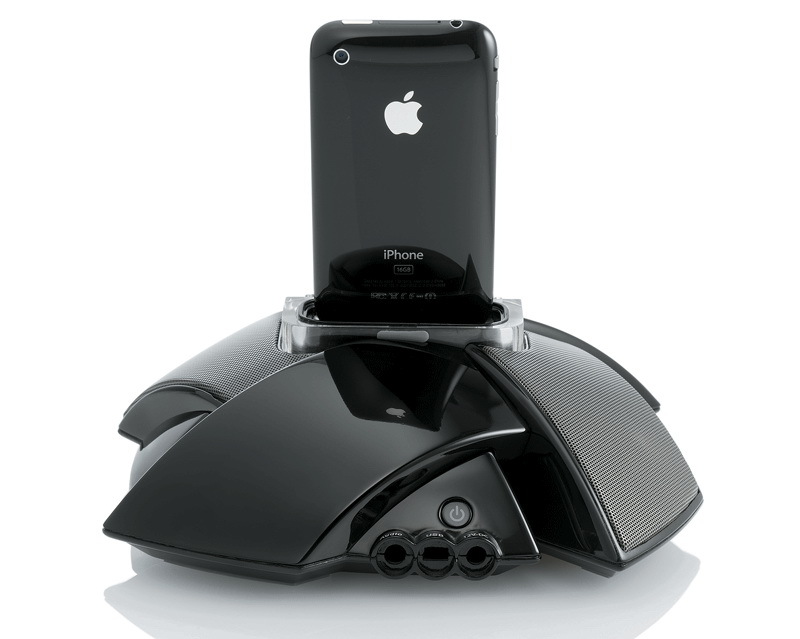 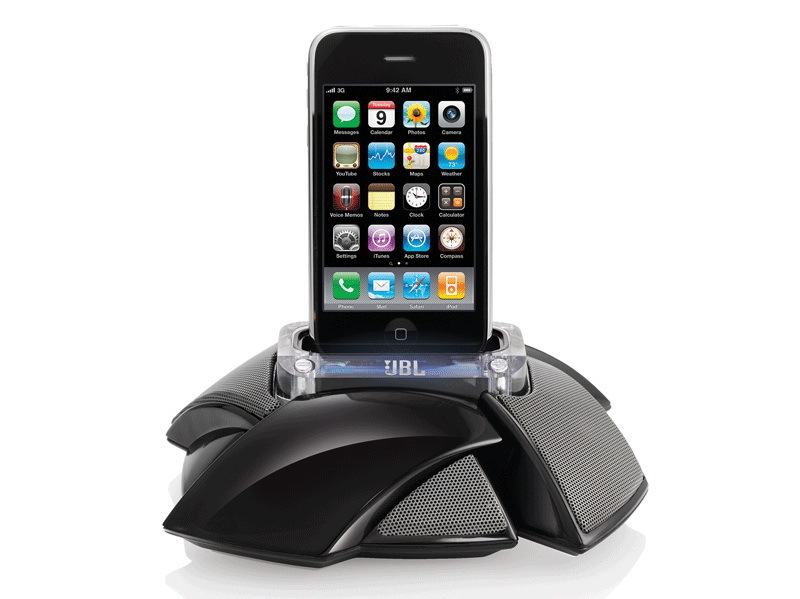 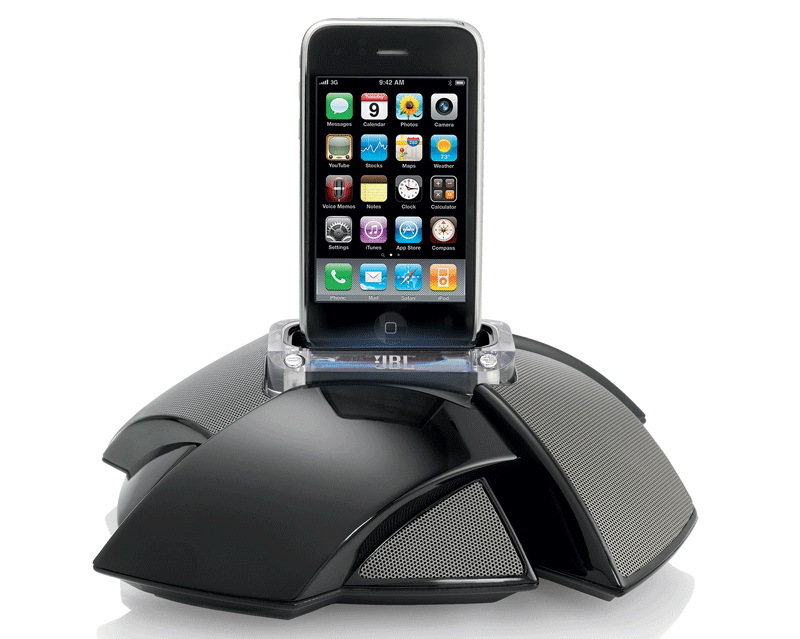 Both systems include an IR remote with fully functioning control from up to 15 feet away, have a built-in stereo mini-jack input for connecting to other digital music players and can sync with iTunes on both PC and Mac via USB 2.0, as well charge your iPhone or iPod, even when the system is off. 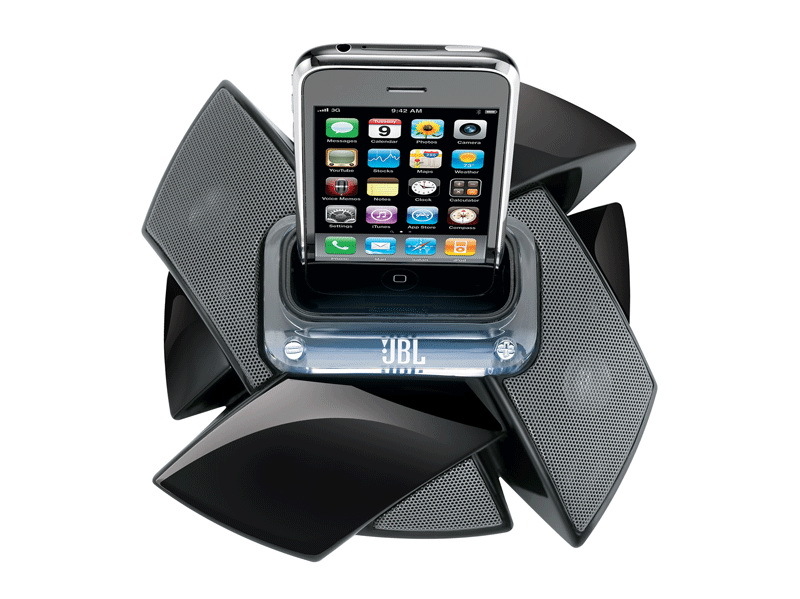 Both system are available in black now, the JBL On Stage IV for $179.95 and On Stage Micro III for $119.95.